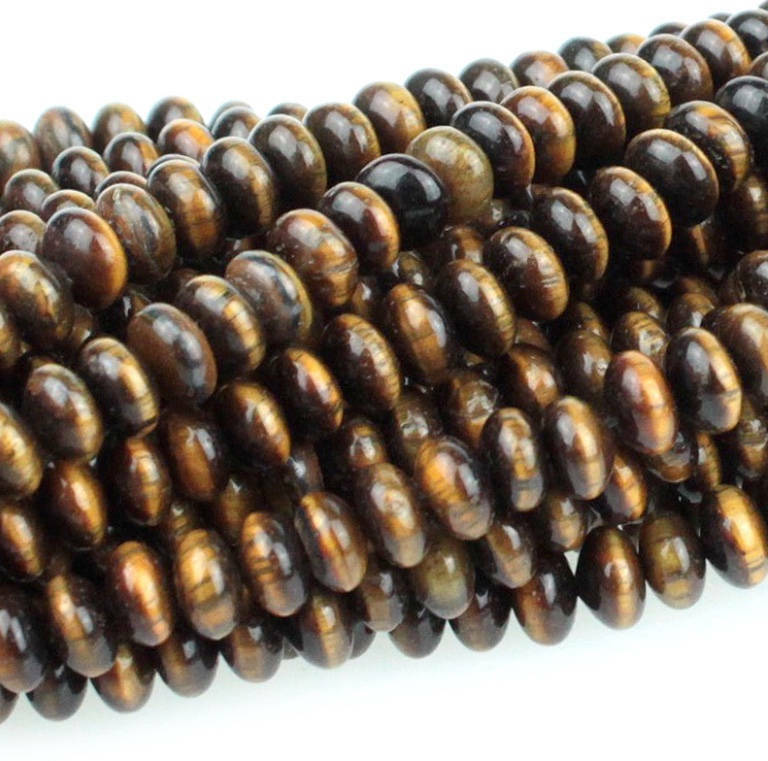 Tiger Eye 6mm smooth rondelle beads, approx. 48 beads per 8 inch strand. Color and size variations possible.